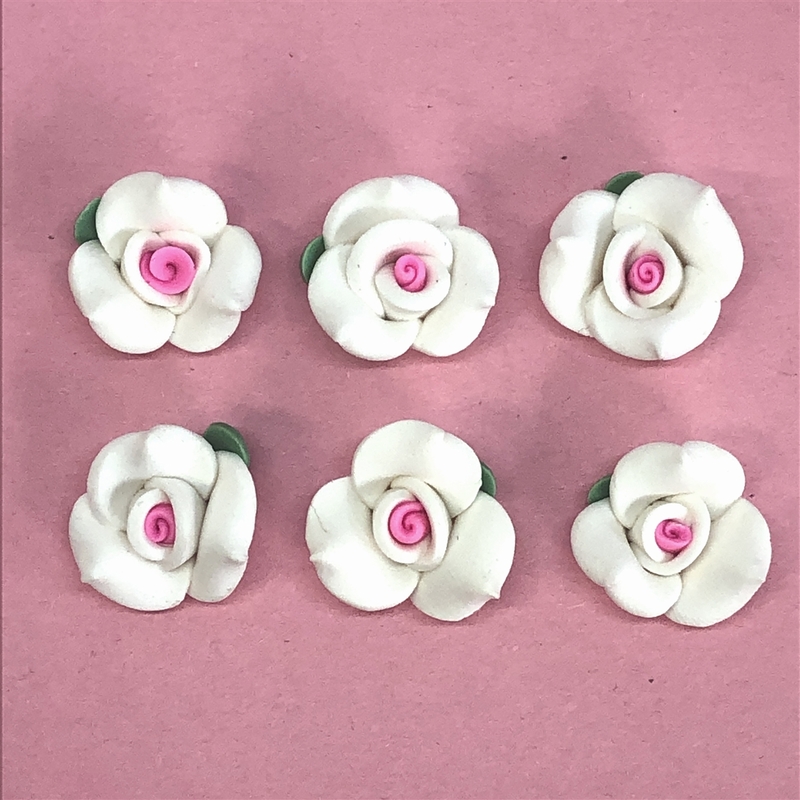 Beautiful handmade polymer clay roses, white with pink center, and a green accent leaf. These are wonderful for assemblage! As these are handmade, sizes may vary slightly with each rose measuring between 18 to 20mm. Flat back. Sold in a set of 6 pieces.